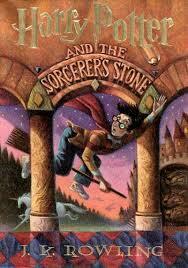 J.K. Rowling ‘s “Harry Potter and the Sorcerer’s Stone” is a magical tale of friendship, wizardry, and plot twists. Chock full of magic spells, potions, evil dark lords, and unicorns, Harry Potter tries desperately to fit in and survive. The characters connect to the reader on an emotional level with Hermione Granger being bullied about being studious and muggleborn, (having one muggle parent and one wizard parent) and Ron Weasley being bullied about being poor. After Rubeus Hagrid miraculously saves Harry from his horrible aunt and uncle, he travels with him to an almost make-believe place: Hogwarts School of Witchcraft and Wizardry. But things go awry when a suspected dark lord infiltrates the school; Voldemort, or He-Who-Should-Not-Be-Named. Will Harry defeat the Dark Lord and save himself, the school of Hogwarts, and even the whole wizard world? This story has reminded me that it hard to confront enemies, but even harder to confront your friends. Like when Harry was unable to convince his friend not make a certain decision. Also, when Ron tries to talk Harry out of sneaking out, but Ron eventually gives in and joins Harry. The story takes place when the Dursley family (Harry’s Aunt Petunia, Uncle Vernon, and Cousin Dudley) goes to the zoo. Harry communicates with a snake, and gets the snake to strangle Dudley (Harry really hates him). When they leave the zoo and get back home, Harry is grounded. But later that night, Hagrid arrives with the invitation to Hogwarts, and the story jettisons from there. This may sound stereotypical, but I somewhat like the authors english writing, such as phrases, words, and places (i.e. Crumpets, London, platforms, etc.) She made it sound formal, yet very casual. All in all, I really liked the book. It has a fantastic plot, outstanding characters, and even better spells! If someone asked me about it, I would recommend it in a heartbeat, but would be especially appealing to kids ten-sixteen, or anyone who has read the Charlie Bone series, Ranger’s Apprentice series, or the Magic Treehouse.